° 3 bedroom and 1.5 bath house. Great location. Pet friendly. No pit bulls or aggressive breeds. Pay $50 app fee per adult online, bridgetowergp. com navigate to residents tab. ° Additional Info: Pets allowed, unfurnished, 2 covered parking space(s), Richardson ISD. ° DON'T MISS THIS LOVELY HOME IN HAMILTON PARK! Completely renovated home with open floorplan & 2 living areas. Oversized laundry room. Easy care flooring & ceiling fans. Large, private yard with nice patio, large shade trees, & sprinkler system! 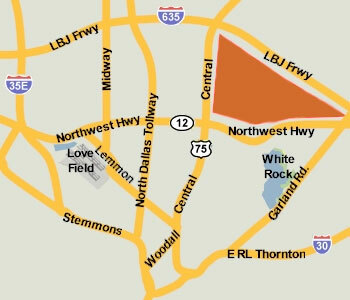 Off Forest Lane and ONLY MINUTES from NorthPark, Galleria Dallas, 635 and Downtown Dallas. ° Additional Info: Pets allowed limit 2, unfurnished, onsite W/D connections, 0 covered parking space(s), Richardson ISD. ° New flooring throughout, new paint inside and out, new counters and appliances in kitchen. New baths. Richardson Schools. Convenience is here. Just off Central Expwy between Royal & Forest. For the children, here are some of the best schools around as shown by test results - it is Lake Highlands High School. For the family - wonderful, energy conservative home with washer and dryer connections. Covered front porch for sipping morning coffee. Large back yard with an evening shade for outdoor cooking. This home has an exterior storage room at the back of the home for your lawn & garden items. This home is all ready just waiting for you to make a date to see it. ° Additional Info: No pets allowed, unfurnished, 2 covered parking space(s), Richardson ISD. ° Updated with an open floor plan and natural light. Large (new) deck off the living room leads to a spacious yard, perfect space for entertaning and play. The master suite includes large walk-in shower and access to private patio. Other 2 bedrooms share bath. SS appliances. Beautifully maintained, updated, and new landscaping. ° Wow! RARE HUGE 1,485 square foot home in Hamilton Park. Freshly remodeled with new flooring and paint throughout. All new kitchen cabinets, counter tops, and appliances. Don't miss this chance to make this gem in the heart of the city yours today! Must see! LARGE OPEN LIVING ROOM, separate master guest quarters off private rear hallway. HUGE MASTER with HUGE WALK IN CLOSET!! Quiet layout perfect for lounging and entertaining. Gorgeous backyard with covered patio section. NO NEIGHBORS TO THE REAR OF THIS PROPERTY, perfect for BBQ's and entertaining. A great house with perfect LOCATION, LOCATION, LOCATION. ° Additional Info: Pets allowed, unfurnished, W/D connections incl., 1 covered parking space(s), Richardson ISD. ° Beautiful 3 bedroom, 2 bath ranch in desirable Richardson ISD. Some of the many features this home has to offer include hard surface floors throughout, no carpet, a soft neutral color pallet with a bright and airy floor plan. The spacious living area is highlighted by a stone fireplace and sliding door leading outside to the patio. The oversized fenced backyard offers plenty of space for playing and year-round fun. Execellent location close to highways, shopping and entertainment. You don't want to miss this! Pets will be allowed on a case by case basis. New oven has been ordered and will be installed. ° Additional Info: Pets allowed limit 1, unfurnished, available now, 2 covered parking space(s), 1 fireplace(s), Richardson ISD. ° Charming L Street Home is stunning and move in ready! Beautifully updated with an open floor plan great for entertaining. Large kitchen with new cabinets, quartz counters and stainless steel appliances. Gorgeous original hardwoods throughout, water filtration system, tank less water heater, stacked washer and dryer, monitored alarm system and built-ins for extra storage. Master bathroom recently remodeled: tile, vanity, shower, mirror and lighting. Two car garage with remote opener. Walking distance to both Lake Highlands Elementary and Jr. High. Nice iron and wood fence surround this lovely backyard with plenty of room to run and play. Pics will be up tomorrow. ° Additional Info: Pets allowed limit 1, unfurnished, W/D connections incl., available now, 2 covered parking space(s), Richardson ISD. ° Don't miss this impeccable home in Old Merriman Park. The open floorplan has a dedicated office and game room with a barn door, plus 3 bedrooms and 3 full baths. The kitchen features upgraded stainless appliances, 5 burner gas stove & custom wine rack. The laundry room is spacious with folding counter & built-in cabinets. The master suite has built-ins, walk-in closet, double vanity & huge walk-in shower. Hand-scraped hardwood floors throughout with recessed lighting, newer windows and over-sized two car, attached garage. This is move in ready! All this within walking distance of the new Alamo Draft House and booming Creekside Center! ° Additional Info: Pets allowed limit 1, unfurnished, W/D connections incl., 2 covered parking space(s), 1 fireplace(s), Dallas ISD. ° Listing Agent: Kelley Mcmahon, Compass RE Texas, LLC. ° GATED COMMUNITY IN LH ELEMENTARY! 4 BEDROOMS AND A 3RD FLOOR BONUS LIVING ROOM!! KILLER backyard with TREX deck_pergola, great for outdoor entertaining. 1st floor bed suite is great for guest or inlaw. DREAM KITCHEN includes double oven, 6 burner gas cooktop, hot water dispenser, double stacked cabinets with lighting, pull out trash cabinet, large pantry, large island overlooking dining and living areas. Master suite accomodates a sitting area, tray ceiling, walkin wraparound closet, dual sink vanity, garden tub and large walk in separate shower. 2nd floor gameroom is perfect for office or pool table. GATED, COMMUNITY POOL. RICHARDSON ISD!! Landlord pays HOA. ° Additional Info: Pets allowed limit 1, unfurnished, available 5/1, 2 covered parking space(s), Richardson ISD.